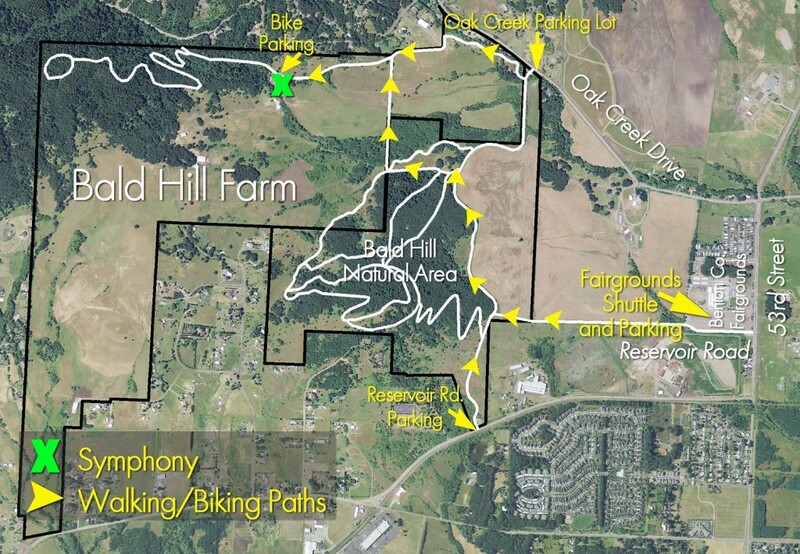 The 7th Annual Symphony on the Land awaits you at Bald Hill Farm! 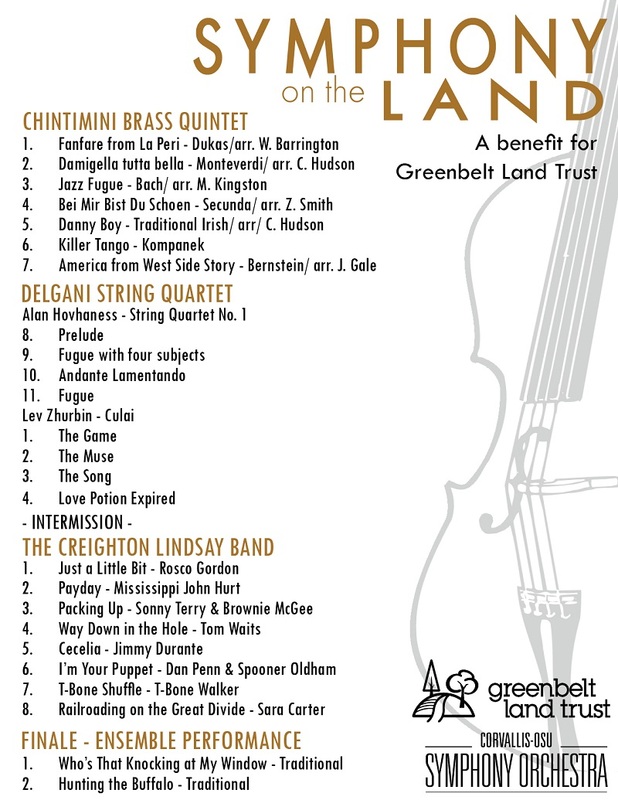 Event sponsors Greenbelt Land Trust and the Corvallis-OSU Symphony invite you to come and enjoy a beautiful evening outdoors, surrounded by friends and family. See the concert program HERE! Tickets are available to purchase online (below or Click Here) or for sale at the event. Cash, check or credit cards will all be accepted at the event. SHUTTLE: Park at Fairgrounds (on 53rd St. near the large electric Fairgrounds sign)- Shuttles will leave Fairgrounds (starting at 4.00pm) approximately every 20 minutes to the Symphony site at Bald Hill Farm. The last shuttle will leave for the Farm at 4.40 pm. Please feel free to bring a picnic and your own beverage OR purchase delicious wine, beer, and food thanks to Tyee Wine Cellars, Mazama Brewing, and Natalie’s Mex-Kart. Volunteer for the Symphony on the Land and receive two complimentary tickets to this year’s concert! Sign up to volunteer HERE. We look forward to seeing you at the 7th Annual Symphony on the Land!